Ecommerce SEO: What Elements Your Product Page Should Have? Before we talk about product page SEO, let’s first discuss about what elements a good product page should have. A product page is the most important page of an eCommerce website that can convert traffic into sales. First, the product page should be properly optimized to drive traffic to the product page and secondly, it should have all the relevant and authentic information the user is looking for. Both essentials are interdependent. Good SEO is not possible without good content. So first focus on the page content and then optimize the page according to the latest SEO or search engine optimization standards. Product description is something through which you can differentiate yourself from thousands of other retailers. Taking product descriptions right from manufacturer website is a common but a false trend. In order to make your web store stand out, you need to have unique, keyword rich, authentic and informative product descriptions. The product description should be written in simple and clear wording. It should be of normal length, not too small or long and emphasize unique selling points of product to help users in buying decision. Images communicate more than words. This saying is more valid when it comes to eCommerce web store. Don’t forget to add images to your product page. It is better to add at least two or three high quality and crisp images showing the product from different perspectives. Adding product videos is bit challenging but is worth doing. It will make your product page content rich and make it stand out from others. Product pages with videos are more search engine friendly. Every time you search for a product on Google, you will notice that Google also shows video results. So add and optimize product video on your product page for better ranking. Adding product reviews and ratings help users in their buying decision. After you make each sale, remember to collect customer feedback and display it on your product page. You can offer incentives and discounts to encourage customers to give reviews. Product reviews enrich your product page with unique content and make it more search engine friendly. These are the factors that make users to trust your eCommerce store. Trust factors are very important because eCommerce involves financial transactions. Google panda update especially emphasizes on trust the users have on your web store. These factors should never be left unattended in order to convert traffic into sales and have better search engine ranking. Security Signs: adding security signs showing SSL certificates or hacker proof services such as VeriSign secured and business certified buildup trust and make user feel easy while sharing his personal and credit card details. Make sure that these signs are linked properly, otherwise a broken link will deteriorate the trust and the user will leave without thinking anymore. Company Details: Giving details about the location of your company enhances trust. It also gives Google more signals about your authenticity and exerts positive impact on your ranking. Phone Number: Do provide your contact number. This will enhance trust and helps users in making instant queries. If you have customer support team, it will give the chance to your sales people to interact with customer and increase chances for conversion. FAQs or frequently asked questions about the product not only shows good customer support but also solves the problem of getting unique content for product pages. FAQs educate customers more about product and help in making buying decision. Giving keyword rich content in FAQs will add to the SEO friendliness of product page. Social media is the most powerful marketing tool of present time. It is good to give social sharing buttons on your ecommerce web store but I will recommend not giving on product page, as it will distract the buying process. Once the user has bought the product, you can give social sharing buttons on thank you page or on product review page to share their reviews. No doubt, the home page of your eCommerce store should have social sharing buttons to like your Facebook page and follow your eCommerce store on twitter. There are two types of search options that should be available on your eCommerce store. First is the general search by which users can search out any product by typing its name or manufacturer name in the search field. Second is product focused search where you give option to users to categorize the product by manufacturer, size, color, and other specifications. 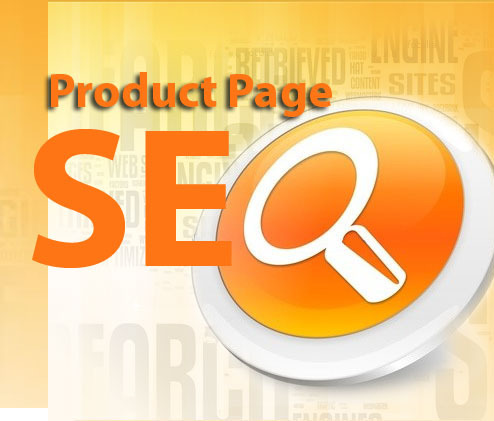 This will help user to narrow down search and quickly find his desired and required product. The use of Breadcrumbs on product page is recommended as they can help you in enhancing customer experience and making your web store more search engine friendly. 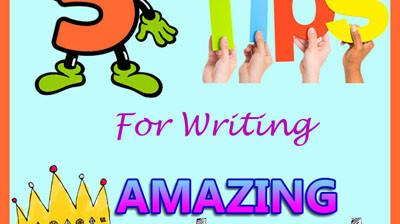 It will not only ease the navigation but also helps in internal linking. Using keywords in breadcrumbs helps in optimizing the product page to have top ranking in Google and other major search engines. The Add to Cart button gives clear call to action. Your product page must have Add to Cart button placed at a prominent position. Make this button standout by placing it on top right of the page to grab user attention. Wish list allows users to add a product for future reference. Wish list helps you to maintain your customer database and aids you in your email marketing campaigns where you can send the latest offers to customers about their desired products. Display the product price near adds to cart button. The price should include shipping or any other additional costs. Make your price competitive by offering discounts and other offers. Tell your customers if their desired product is in stock or not, otherwise it will have a negative impact on credibility of your store. You can entice the customer to buy more products by showing him other related products or accessories that complements the bought product. Giving an image and short description will do the work. To enhance user experience, offer your customer to view your website in different languages. This depends on your target market. If you cater a particular area, it is good to offer your website in their local language besides having your website in Standard English language. These are all elements that a good product page should have. In the next post, I will discuss further about optimization of these elements Keep visiting the blog and don’t forget to leave your valuable feedback.